Kony Ealy‘s Oakland stay did not last long. Signed to start last week, the veteran defensive end is now off the team after the Raiders made the decision to waive him Tuesday, Field Yates of ESPN.com tweets. Ealy was a healthy scratch against the Chargers. Unlike when the Cowboys cut him earlier this year, he’ll head to waivers. The former Panthers second-round pick played in at least 15 games in each of his first four seasons; he’s yet to see action in 2018. The Raiders have signed numerous outside free agents this season. Many have not worked out. The team has, however, given significant playing time to rookies P.J. Hall, Arden Key and Maurice Hurst, which makes sense in what quickly became a rebuilding year. Ealy, though, joined Johnathan Hankins and Clinton McDonald as in-season D-line additions. Ealy spent three seasons with the Panthers and last year with the Jets. But over the past 15 months, the Patriots, Cowboys and now Raiders have cut him. The Raiders are expected to sign free agent defensive end Kony Ealy to a one-year deal, sources tell Ian Rapoport of NFL.com (on Twitter). Ealy, 27 in December, has been out of work since being released by the Cowboys on Labor Day weekend. The Raiders also signed defensive end Jacquies Smith, per a club announcement. Ealy hooked on with the Jets last year after being cut by the Patriots and proved to be a quality addition. While he didn’t light up the stat sheet in New York, he graded out as the No. 61 edge defender in the league. The Chargers, Dolphins, Falcons, and Bengals all looked at him in the fall, but he left each audition without a contract. Smith had a combined 13.5 sacks over his first two NFL seasons with the Buccaneers in 2014 and 2015. Unfortunately, a torn ACL in 2016 has kept him off the field for much of the last three seasons. Predictably, the Raiders’ pass rush has struggled since the Khalil Mack trade. The arrival of Ealy and Smith will not fill that void, nor will it address the Raiders’ issues in every other facet of the game. After getting blown out by the Nick Mullens-led 49ers, the Raiders will face the rival Chargers on Sunday. If active, Ealy and Smith will provide support behind Frostee Rucker, Arden Key, and Fadol Brown. The Falcons are signing former Jaguars defensive tackle Michael Bennett, sources tell Tom Pelissero of NFL.com (on Twitter). Bennett, a former sixth-round draft pick out of Ohio State in 2015, played in 13 games for the Jaguars in 2015 and one game in 2017. The Falcons needed some interior depth after Grady Jarrett suffered a sprained ankle on Sunday. So, the Falcons are turning to Bennett, who has talent, but has also been dealing with calf and pectoral injuries over the last two seasons. 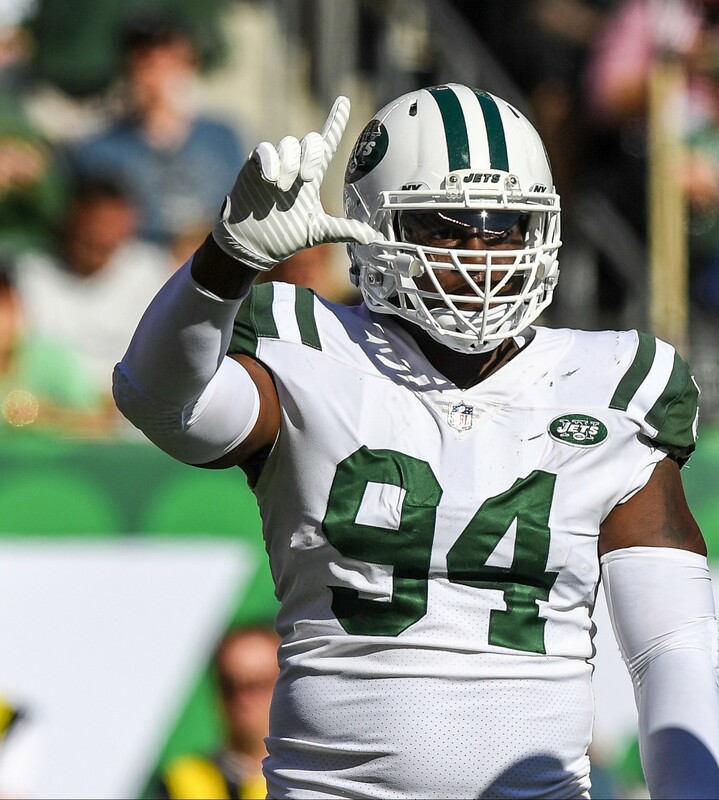 In addition to signing Bennett, the Falcons also worked out defensive ends Robert Ayers and Kony Ealy on Tuesday, Pelissero hears. A deal could still come together for one of those players, but interior depth was the priority for Atlanta. The Dolphins’ deep defensive end corps took two big hits on Sunday. William Hayes suffered a season-ending knee injury in Miami’s win over Oakland, and Andre Branch will also miss time. Miami intends to sign a defensive end, Barry Jackson of the Miami Herald notes, adding that both Robert Ayers and Kony Ealy worked out for the Dolphins on Tuesday. These two were among several defensive ends that auditioned for the Dolphins today, according to Jackson. Ealy could not make the Cowboys’ 53-man roster after spending the 2017 season with the Jets. The former Panthers second-round pick played three years in Carolina before being traded to New England, which did not work out. The Dolphins would be Ealy’s third AFC East employer, in the event they went in this direction. Ayers has been one of this era’s better run-stopping defensive ends. He started 20 games for the Buccaneers between the 2016 and ’17 seasons. The Bucs cut him this offseason. So did the Lions, who only employed Ayers for one day. This is Ayers’ first known workout since that preseason cut. As a nine-year veteran, Ayers would add more experience to a D-line chock full of it. Branch, Cameron Wake and Robert Quinn reside on the Fins’ front, with second-year man Charles Harris in the equation, too. The Chargers are looking for defensive line help. 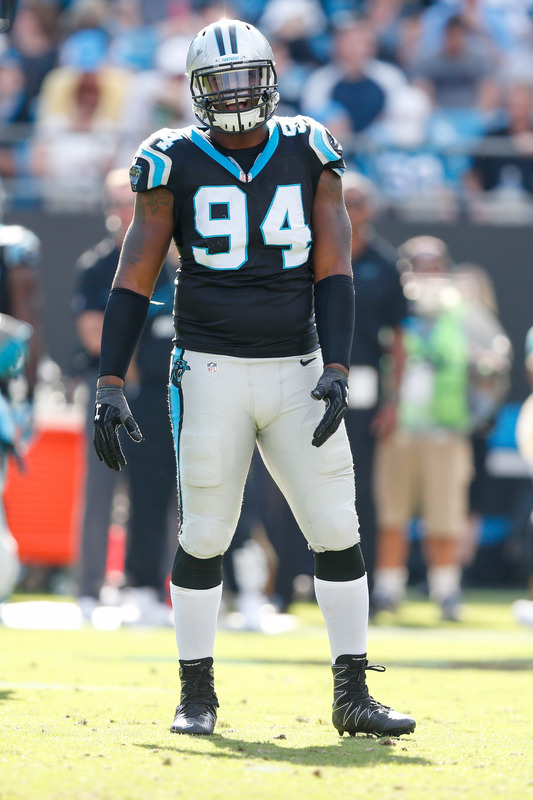 On Wednesday, the club auditioned defensive end Kony Ealy plus defensive linemen Xavier Cooper and Anthony Lanier. Ealy hooked on with the Jets last year after being cut by the Patriots and proved to be a quality addition. While he didn’t light up the stat sheet in New York, he graded out as the No. 61 edge defender in the league. This year, he tried to make the Cowboys’ roster, but he was let go on cut weekend. Cooper, a 2015 third-round pick of the Browns, missed the Jets’ cut earlier this month. He appeared in eight games for Gang Green and five contests for the Niners last year. Lanier, meanwhile, worked out for the Texans on Tuesday but left without a deal. It seems likely that the Chargers will sign at least one player from this trio as they look to bolster their edge rush. Kony Ealy‘s stay in Dallas did not last long. Added earlier this offseason, the former Panthers second-round pick will not make the Cowboys’ 53-man roster after the team made the decision to cut him Friday, per Mike Garafolo of NFL.com (on Twitter). A 2014 second-round pick, Ealy is a vested veteran and will not have to pass through waivers. He’s a free agent after failing to make the Cowboys. This marks the second straight cut-weekend transaction for the once-highly regarded defensive lineman. The Patriots waived him last year, leading to a Jets claim and 15 games of regular-season action for Gang Green. With the Cowboys, however, he was on the bubble. Dallas tried him at defensive tackle as well but will cut the experiment short. The Cowboys, who have Randy Gregory back in the fold, are a bit deeper on their defensive line than in the recent past. Former second-rounder Jihad Ward is also on their roster bubble.